Requirements gathering lies at the heart of the enterprise architecture. But exactly how do you go about documenting these requirements. 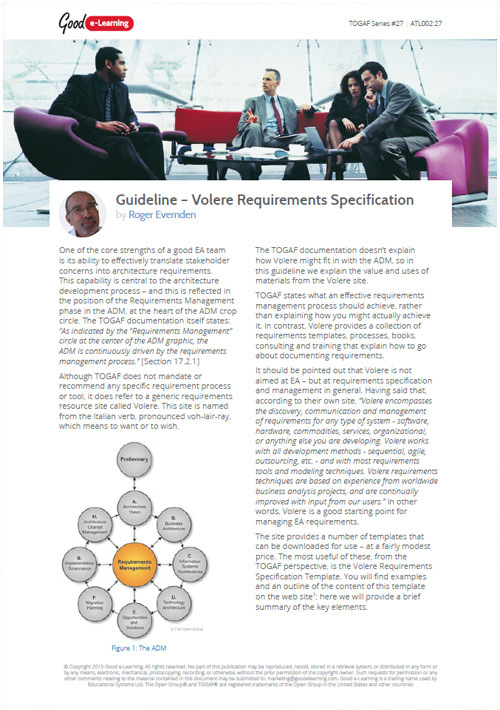 In this exclusive article we examine the Volere Requirements Specification Template, which is referred to in the TOGAF documentation.